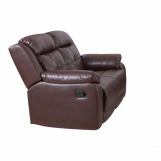 Come home to comfort after a hard workout or day at the office with this reclining sofa from the Sherman collection. 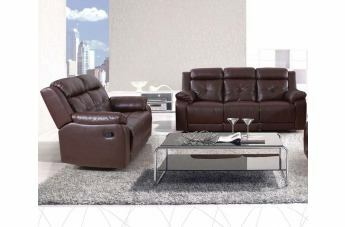 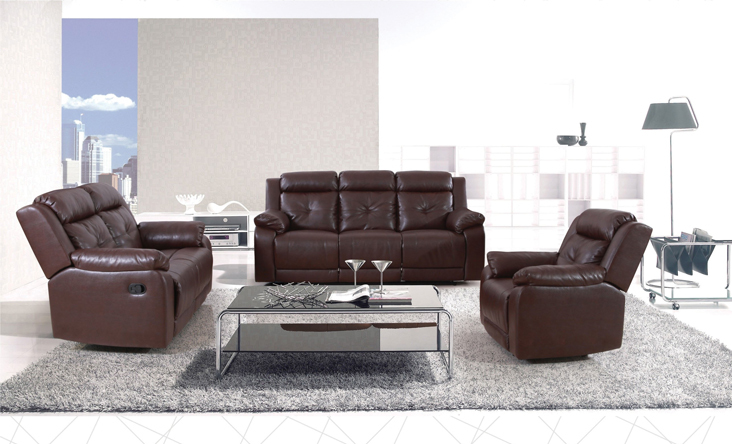 A soft smooth bonded leather covers plush overstuffed cushions for lasting, sleep-worthy comfort. 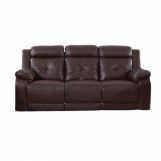 Pillow arms and bustle backs provide additional support, while double stitching and tufted backs add a touch of casual elegance. 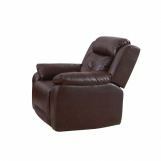 Power recline feature will take your comfort to a whole new level.